With great fanfare and more than 1,500 valley residents in attendance, U.S. Vice President Charles G. Dawes placed the cornerstone of the American Legion Hall in Alamosa on July 27, 1925. 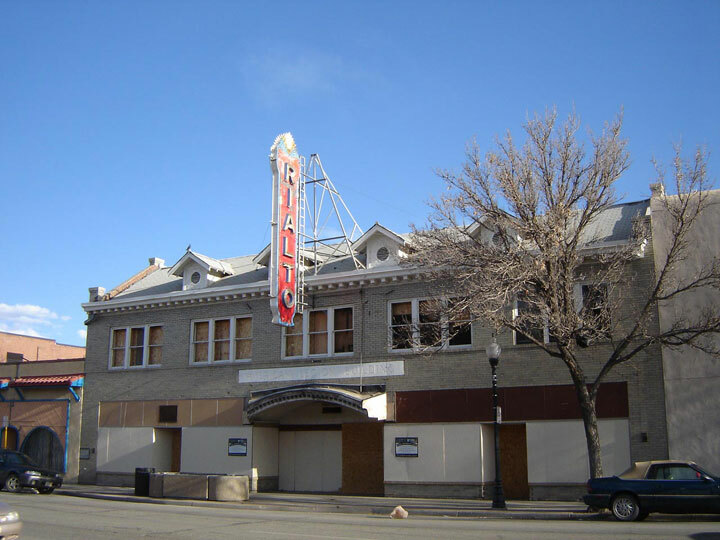 The Legion Hall – to become the Rialto Theater two years later – would be a premier social center for the San Luis Valley and Alamosa’s vibrant downtown for more than 70 years. Completed in 1926, the large, two-story structure housed retail businesses in its front portion and interior arcade. Its great hall, which came to include a theater with stage and a a large auditorium hosted many functions. 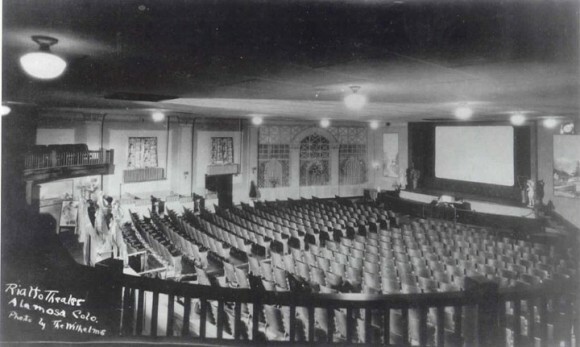 $8,000 was spent refurbishing the theater interior for its October 1927 opening. The late 1990s brought a new six-plex cinema west of Alamosa and lead to the closing of the Rialto. In 2003, the entire theater portion of the structure was destroyed by a fire. Concerned over the structural integrity of the building after the fire, the City of Alamosa issued a Certificate of Dangerous Building and demand its demolition in 2005. The City’s Historic Preservation Advisory Committee, Alamos Downtown Merchantes Inc, Alamosa Uptown & River Association (AURA) and other community members formed a committee to support downtown vitality. In 2006, the State Historical Fund paid for a full historic structure assessment by architect Belinda Zink, that provided a preservation plan and recommendations. In selecting the Rialto as one of Colorado’s Most Endangered Places in 2008, Colorado Preservation, Inc began a campaign for preservation efforts. A Historic Structure Assessment found that the theater hall was a total loss and had to be taken down, however, the front portion of the building, structurally separate, could be saved. The building was sold to Kent and Sandra Holtcamp who had the vision and perseverance to rehabilitate the building into Bistro Rialto, a delectable Italian eatery, catering facility ad meeting room. The building retains its historic and iconic vertical sign, and once again serves as a social gathering place for the community.